The funny thing about being a small business owner is that opportunity always seems to come knocking. Perhaps it’s because we’re entrepreneurial by nature and we’re alert to the next big thing that will catapult our lives forward. Perhaps it’s because others see us as open to new ideas. Be that as it may, an opportunity is often around the corner. The trouble is that not all opportunities are worthy of our time, commitment and resources. If you’re not careful you can get waylaid on new projects that never bare fruit. 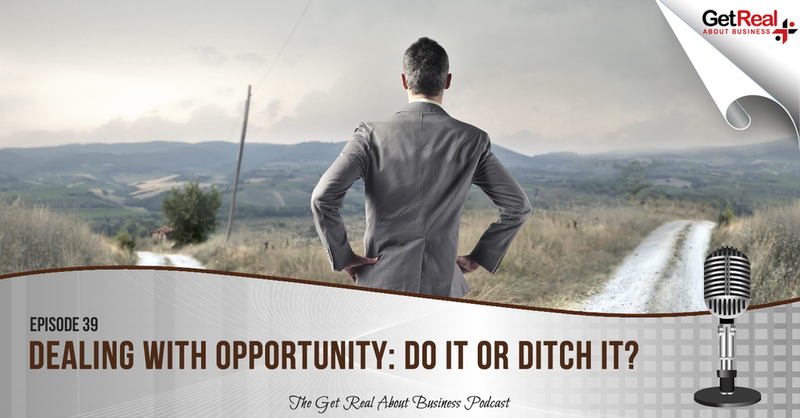 Worse still, many opportunities can steer you away from more profitable activities. It can cost you time, money and even reputation. So how do you evaluate an idea or an opportunity as worthy of your time? What you need is a way to validate ideas and work out whether they’re right for you and your audience. This is where today’s podcast comes in. We look at the key decision making in establishing whether an idea is right for you. That means validating it against your own personal goals, validating it against others and then testing the idea. Next time you have a great new idea or an opportunity comes along, test this decision making out. I’m confident it should put you on the right path. The Mom Test - How to talk to customers & learn if your business idea is a good idea when everyone else is lying to you. Earning the Right - My Facebook group for friends of the show. A big thank you to my sponsor for today's show, KB Virtual Services - which is the brainchild of my personal virtual assistant, Karen Broughton. Visit www.kbvirtualservices.co.uk and see what they can do for you.